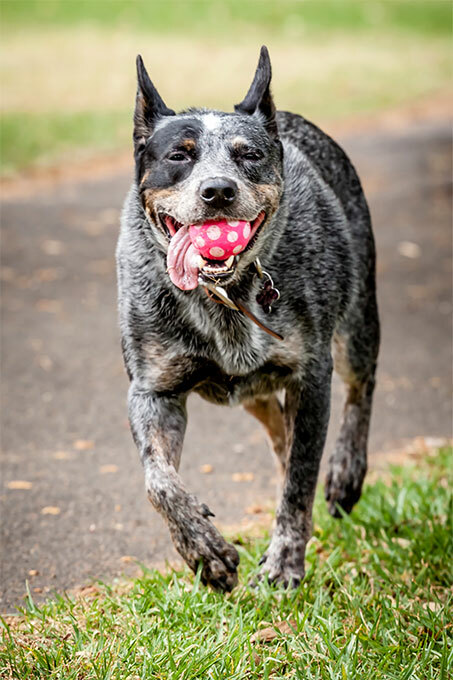 The Australian Cattle Dog (ACD), or simply Cattle Dog, is a breed of herding dog originally developed in Australia for droving cattle over long distances across rough terrain. 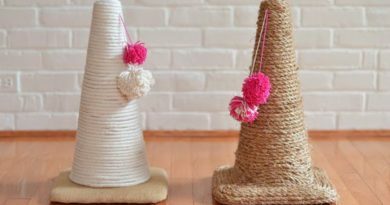 This breed is a medium-sized, short-coated dog that occurs in two main colour forms. 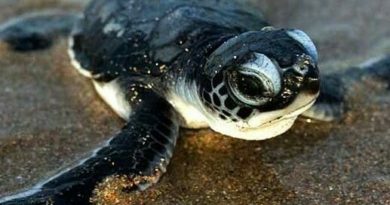 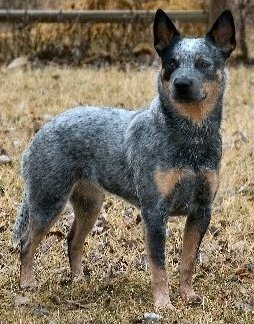 It has either brown or black hair distributed fairly evenly through a white coat, which gives the appearance of a “red” or “blue” dog. 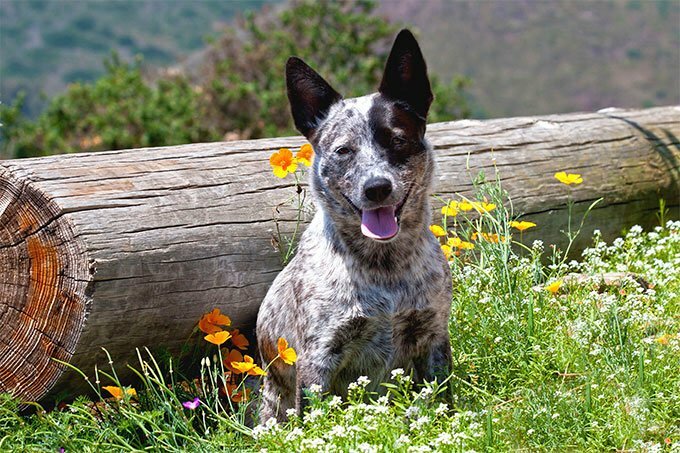 It should not be confused with the Australian Shepherd, a similarly named but totally different breed. 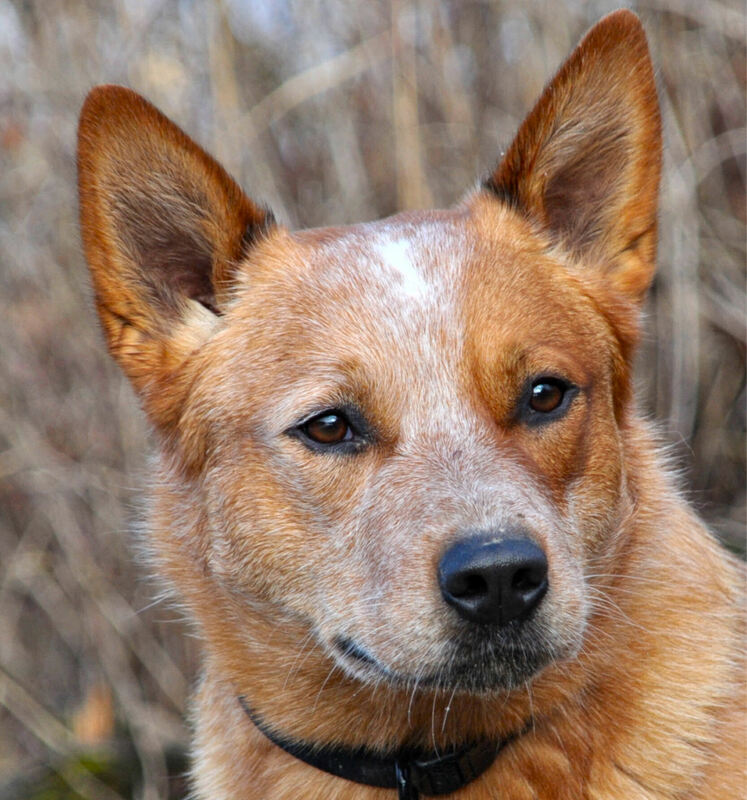 In the 19th century, New South Wales cattle farmer Thomas Hall crossed the dogs used by drovers in his parents’ home county, Northumberland, with dingoes he had tamed. 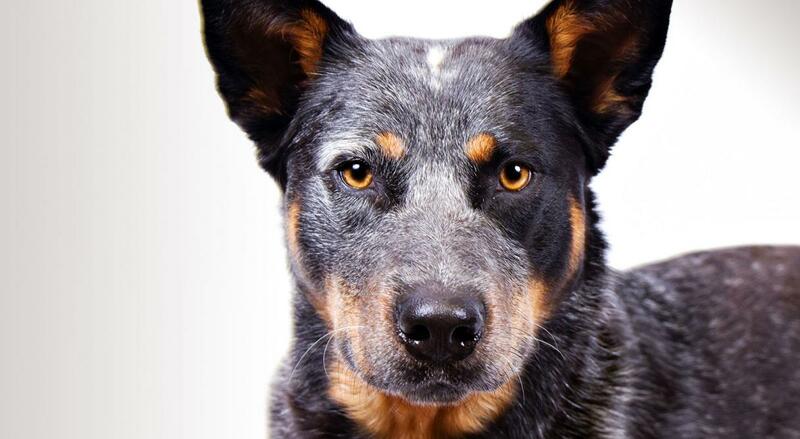 The resulting dogs were known as Halls Heelers. 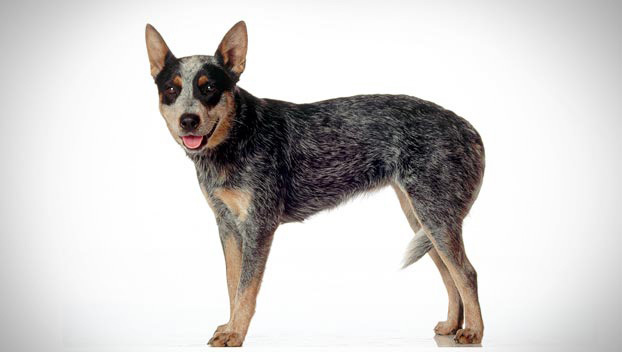 After Hall’s death in 1870, the dogs became available beyond the Hall family and their associates. 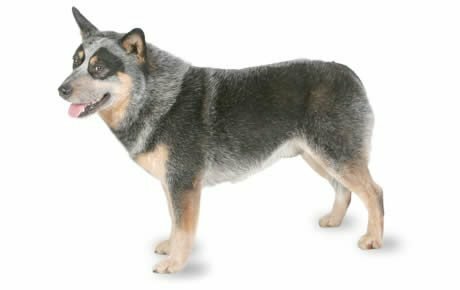 They were subsequently developed into two modern breeds: the Australian Cattle Dog and the Australian Stumpy Tail Cattle Dog. 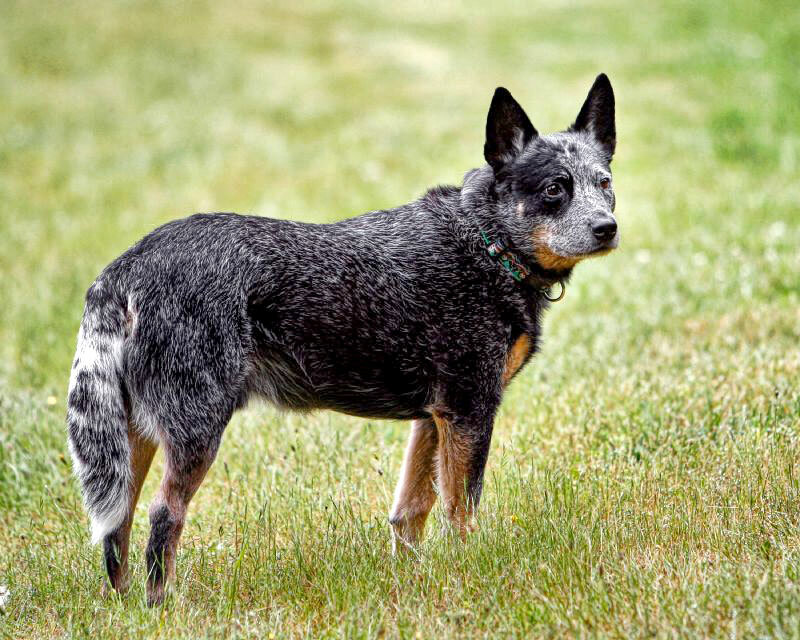 Robert Kaleski, who wrote the first standard for the breed, was influential in its development. 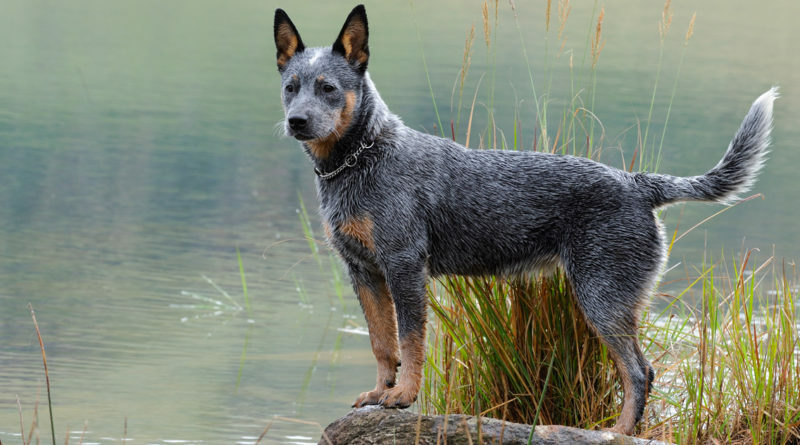 Australian Cattle Dog has been nicknamed a “Red Heeler” or “Blue Heeler” on the basis of its colouring and practice of moving reluctant cattle by nipping at their heels. 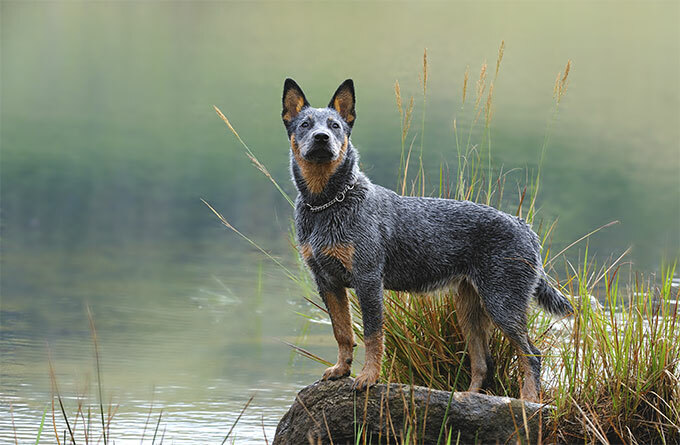 Dogs from a line bred in Queensland, Australia, which were successful at shows and at stud in the 1940s, were called “Queensland Heelers” to differentiate them from lines bred in New South Wales; this nickname is now occasionally applied to any Australian Cattle Dog.